Shot entirely in Sonoma County, the feature-length documentary "Harvest" reveals the blood, sweat and tears that go into every bottle of wine. There is no swirling, no sniffing, no sipping or quaffing. This is all about back-breaking manual labor and night picks at 2 a.m. with only tiny headlamps. 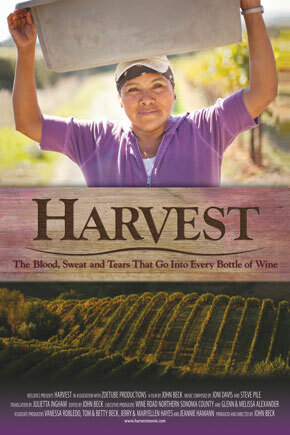 Over the course of three months during Harvest 2011, the film follows five family wineries: Robledo, Rafanelli, Foppiano, Harvest Moon and Robert Hunter, along with an amateur home winemaker and an extremely rare all-female picking crew made up of women from Michoacan and Oaxaca, Mexico. Not interested in massive corporate wineries, director John Beck instead casts his intimate DSLR lens on salt-of-the-earth, tight-knit family farmers and field workers who are the backbone of the wine industry, revealing a glimpse of the American grape harvest that has never before been captured on film. 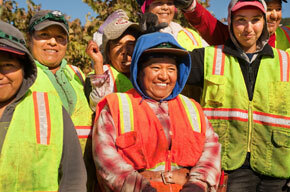 Along the way, we meet Reynaldo Robledo, the first migrant worker to own his own winery. There's Wayne Rogers, who loses 80 percent of his zinfandel crop to wild pigs. 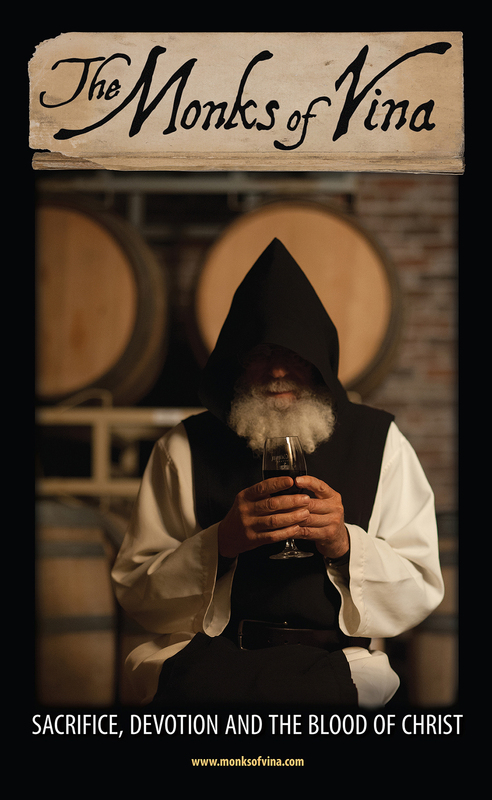 In his early 70s, Rudy Rodriquez has devoted more than half his life to Robert Hunter Winery. The women pickers share their border-crossing stories, showing how much they sacrificed just to get to Sonoma County, much less do a job that most Americans would never consider. 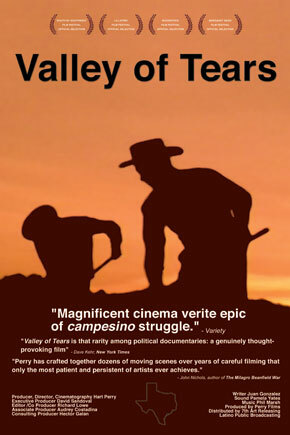 The narrative builds to a third act of untimely rainstorms and widespread grape rot - what everyone in the film will later agree is the worst harvest in their lifetimes. This is the story behind the wine you drink. Bay Area filmmaker and journalist, John Beck splits his time between directing and producing documentaries, shooting promotional video and writing freelance journalism. For the past 15 years, he has worked as a journalist in Sonoma County where "Harvest" is set among the vineyards. It was while on assignment to capture footage of a night harvest at Foppiano Vineyards in 2010 that he stumbled upon the behind-the-scenes drama and sacrifice that go into every bottle of wine. That's when he decided to follow all walks of life - rich, poor, winemaker, grape picker - through next year's harvest of 2011. It would turn out to be the worst harvest in Sonoma County in at least 50 years. His previous films, the feature-length "Worst in Show" and shorts "Stringers" and "Drag King," have won numerous film festival awards. His print stories have won national awards from the Society for Features Journalism and the Association of Sunday and Features Editors. Beck was born in Nashville, Tennessee and now lives in the San Francisco Bay Area.